I created a simple activity for Ladybug this week. 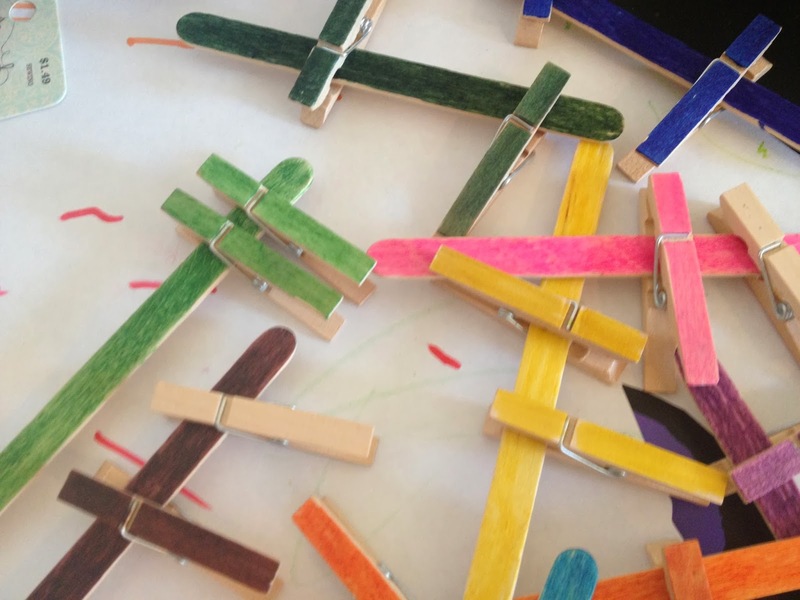 I colored some small popsicle sticks with permanent marker. 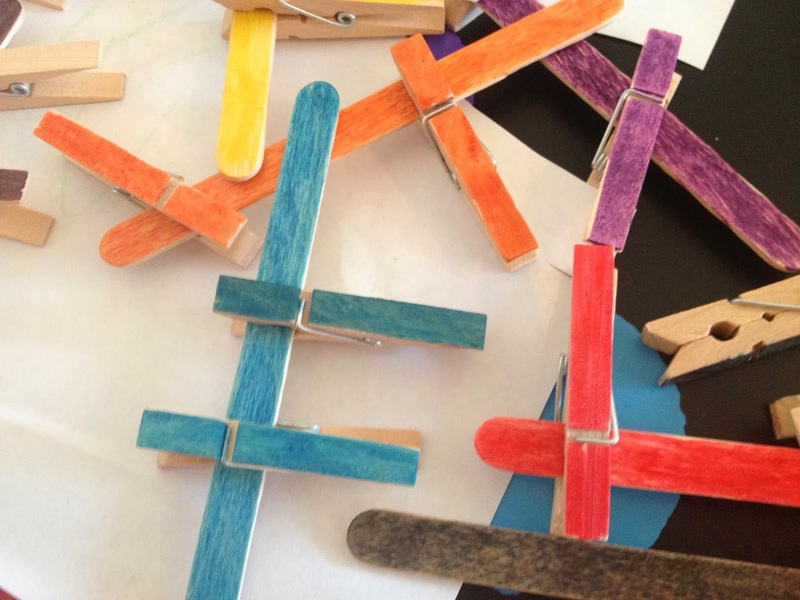 Then I colored some small clothespins with matching colors – 2 clothespins per color. 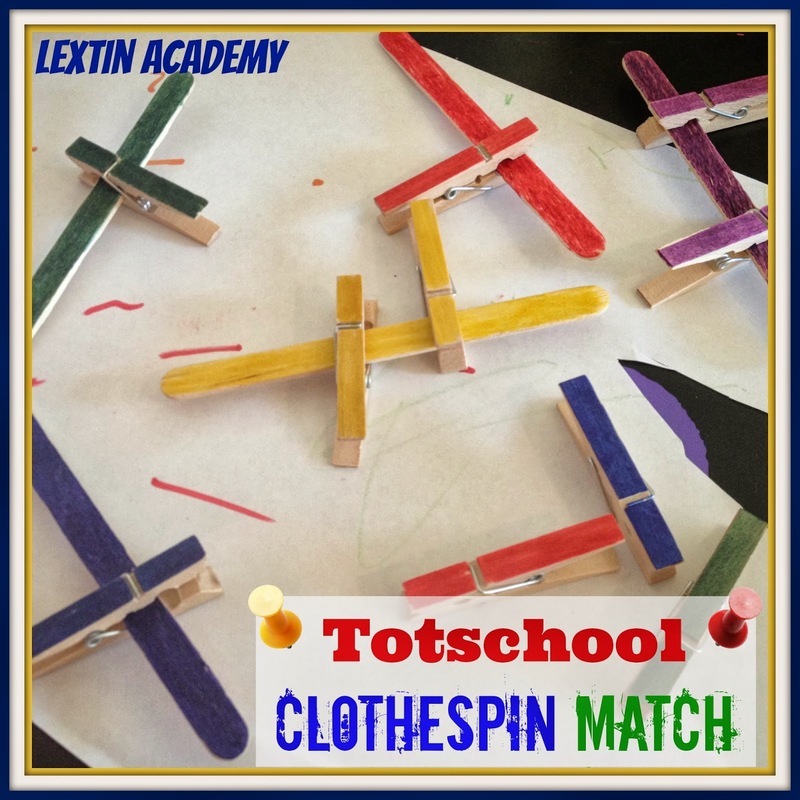 Ladybug enjoyed opening and closing the clothespins on the popsicle sticks to match up the colors. She also discovered that she could pinch people with her clothespins! Ouch! I had a few sore fingers as she tried to “eat” me while we played!